Samsung launched the Galaxy S8 with support for the Gear VR (obviously), but Google's VR platform got the cold shoulder. The GS8 could have had both if Samsung wanted, and Samsung and Google have apparently come to an understanding. Yes, Daydream is coming to the Galaxy S8 and S8 Plus. 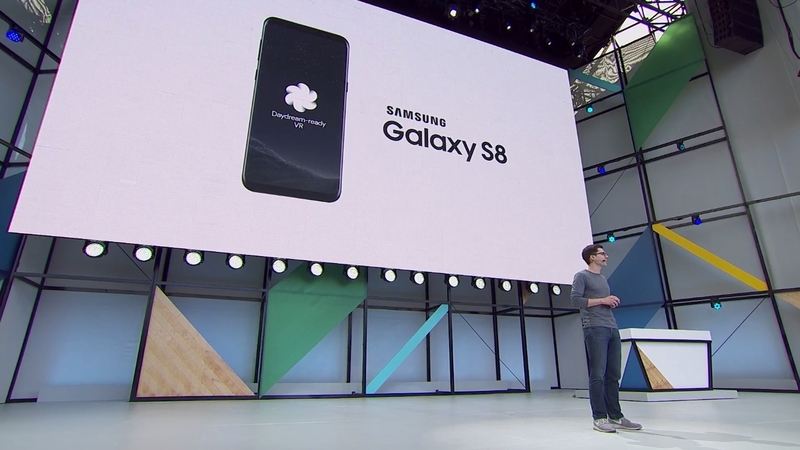 The Galaxy S8 and S8 Plus have the hardware necessary to make Daydream work including a fast processor and high-resolution AMOLED. So, an OTA update over the summer will allow Samsung's flagship phone to run Daydream VR apps. However, you'll need a Daydream View headset, and carriers might be a pain getting the update rolled out. LG wants a piece of this VR thing, too. However, its hardware isn't quite ready. The G6 has an LCD display that's not suitable for VR. Thus, a phone later this year from LG will support Daydream. So, perhaps this means the LG V30 (or whatever they call it) will have an AMOLED panel.